When you think about surgery, you might think of the scene how it’s often portrayed on TV—a surgeon, plus one or two nurses assisting. In reality, surgery requires a team of professionals: people to set up the operating room and equipment, someone to prep the patient, at least one surgeon, surgical nurses, surgical assistants, and (last but not least) anesthesiologists and anesthesia technicians who ensure that the patient is out cold and feels none of the pain of what’s going on. Every team member is an essential part of every surgery. All of these surgical team professionals have a major part to play in the healthcare industry, so if you’re looking for a solid healthcare career path, it’s time to think about whether you should become an anesthesia technician. Basically, if it involves patient anesthesia or monitoring patients while they’re under sedation, the anesthesia tech has a hand in it. Anesthesia techs typically work in hospital settings, but they may also be found in private clinics/doctors’ offices or outpatient care facilities. A growing industry. The healthcare field is expanding all the time, with greater demand for medical professionals at every level. A varied day-to-day. Patients change, their needs change, and every day has its own set of challenges. A stable work environment. Hospitals will always need to be staffed with qualified professionals, and typically provide a clean, quiet workspace. A path for advancement. 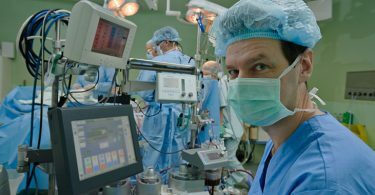 Working as an anesthesia tech opens the door to other healthcare/surgical jobs, especially with certification. No four-year degree required. Anesthesia technicians usually have a high school degree plus specialized training and classes. For more on schools and training programs that offer degrees for Anesthesia Technicians, see the American Society of Anesthesia Technologists and Technicians (ASATT) for the most up-to-date information on available programs. Anesthesia technicians may also choose to get certified by the ASATT. To get this certification, you’d need to pass the ASATT’s national certification exam, in addition to having a high school diploma, 2+ years of experience, and completion of an anesthesia tech program or degree that includes clinical training. The certification is optional, but it could help with career advancement and give anesthesia techs an edge when it comes to seeking more opportunities in the field. If you’ve got the baseline skills and are thinking of committing to this path of becoming an anesthesia technician, it’s time to think about the whole picture. Are you comfortable in a fast-paced, pressure-filled medical environment with potential crisis situations? Are you unfazed by blood and bodily fluids in your professional environment? Are you able to keep calm and do what you need to do no matter what’s going on around you? Can you commit to the education and training it takes to become an anesthesia tech? Can you work well as a member of a team and under the direction of doctors and surgeons? Do you have good mechanical skills and a knack for troubleshooting tricky equipment? Are you willing and able to keep on top of medical equipment and technology trends? If the answer to all of these is “yes,” then you should seriously consider pursuing a career in anesthesia technician. 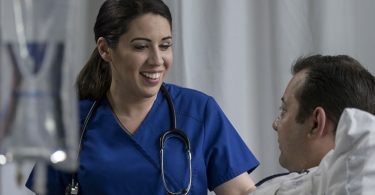 If you’re seeing a lot of “maybe”s, “probably”s, or “uhhhh…no”s, then the good news is that there are tons of other healthcare career opportunities that might fit you better. Once you’ve figured out whether you’re personally equipped to make this your career path, you also need to figure out if it’s worth your future investment—after all, you don’t want to invest your time, energy, and education money in a career that’s going to stall out on you down the line. Like most other healthcare fields, the demand for anesthesia techs is growing; the U.S. Bureau of Labor Statistics projects that jobs in related surgical technology fields will grow by about 15% by 2024. And not only is the field stable, but it’s also a solid salary choice as well: $38,700 is the median salary. Certified anesthesia technicians can make more, as can techs with significant experience, so there are plenty of opportunities for growth and advancement once you’re in the door. If you decide that becoming an anesthesia technician is the path for you, great! You’re on your way to a demanding-but-fulfilling career. Good luck! Why are Nursing Home Jobs Getting Tougher to Find?